After last week's "what's in your bag"post I saw this in my friend's bag the next morning. LOL yess that's a huge Costco bag of salad! 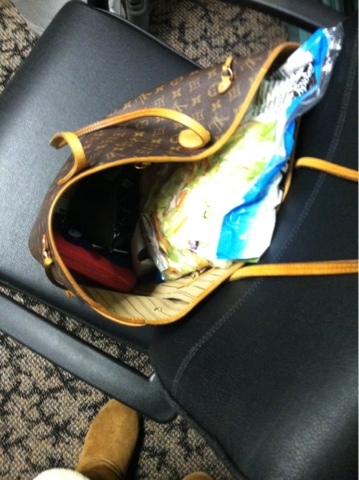 I about died laughing at yet another random item in her Louis Vuitton. Because of the randomness of her bag contents and my curiosity of what other ladies may be carrying around I decided I will be posting new silly purse findings on Wednesdays. Stay tuned I'm sure we will be amused by what some of my other friends have in their procession.